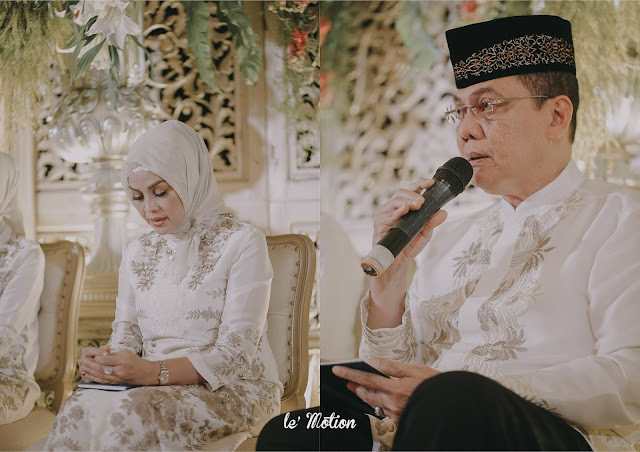 Aya & Aldhi's event was continued with a reception party in Jakarta. 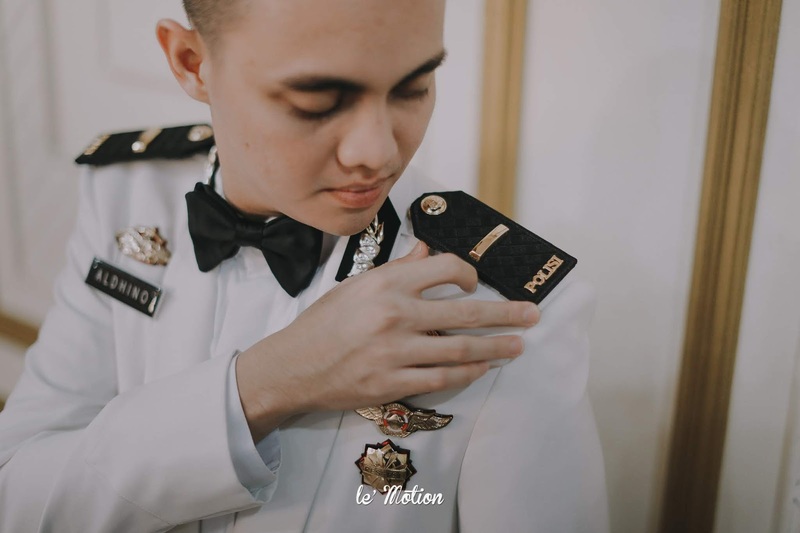 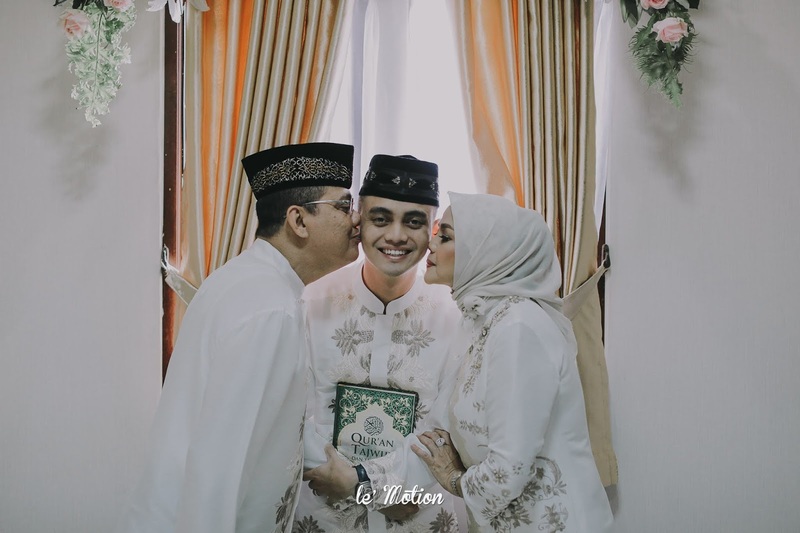 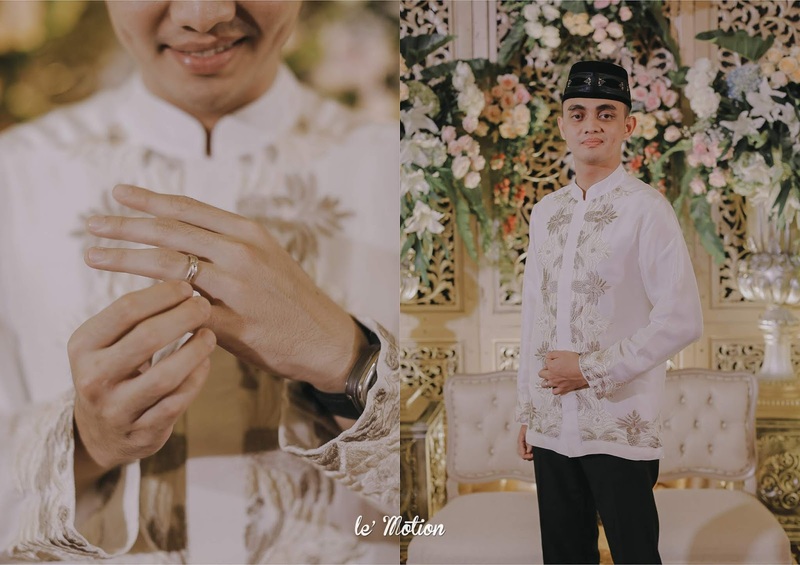 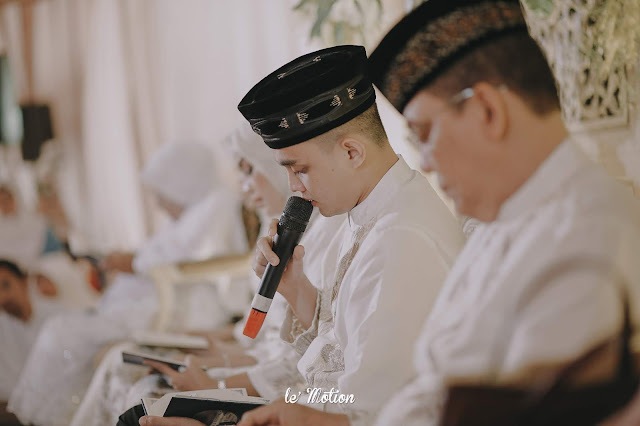 The wedding was held in Jakarta because Aldhi's parents lived in Jakarta and there is are many relatives who can not participate in Aya & Aldhi's wedding ceremony in Ponorogo. 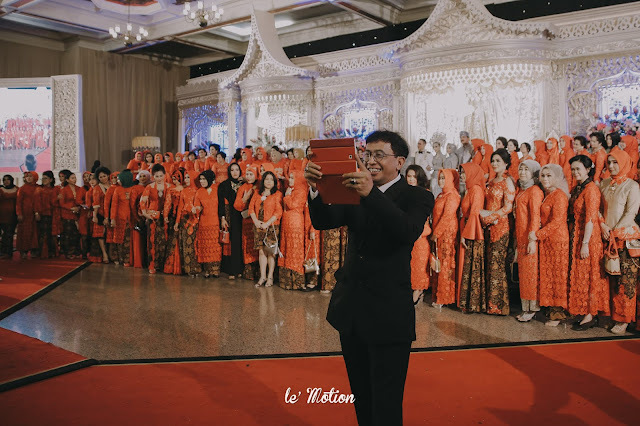 The reception party was held in an Minang traditional custom, it is because Aldhi's parents are from the West Sumatra. We fell in love with this two families because they do not forget their roots. 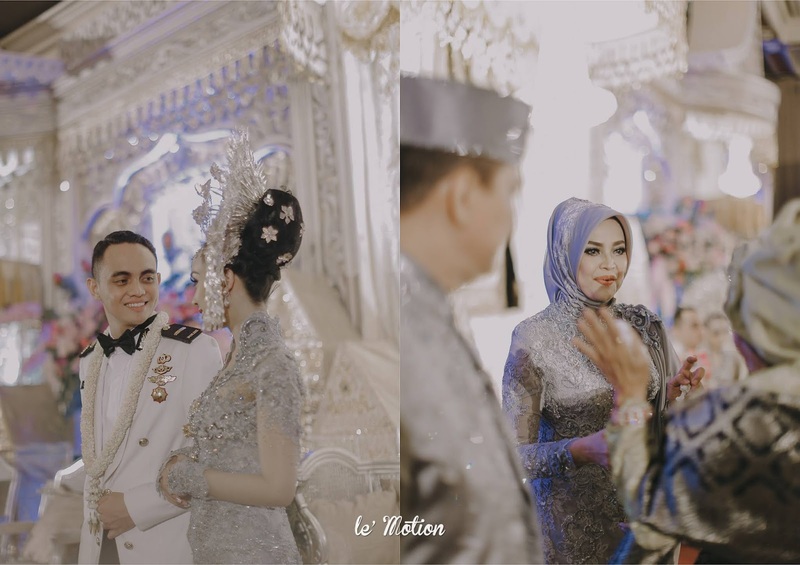 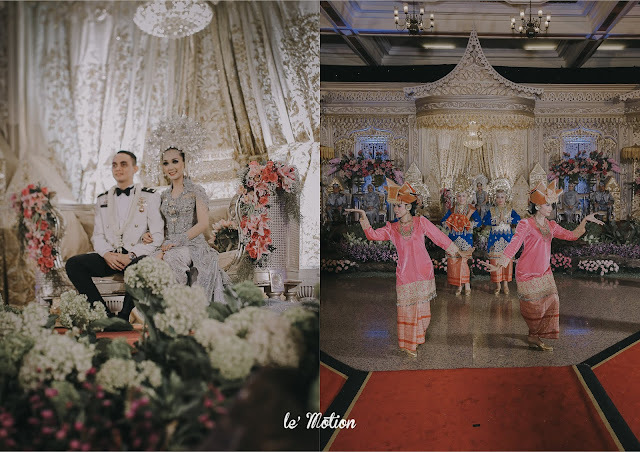 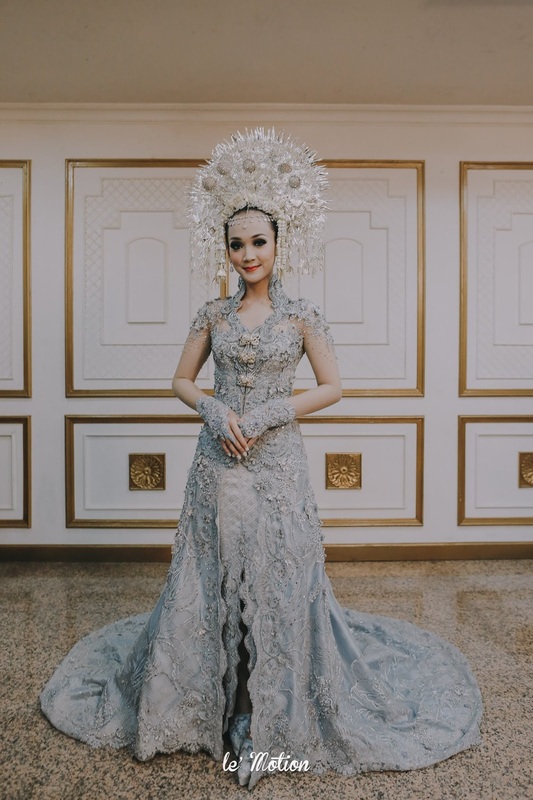 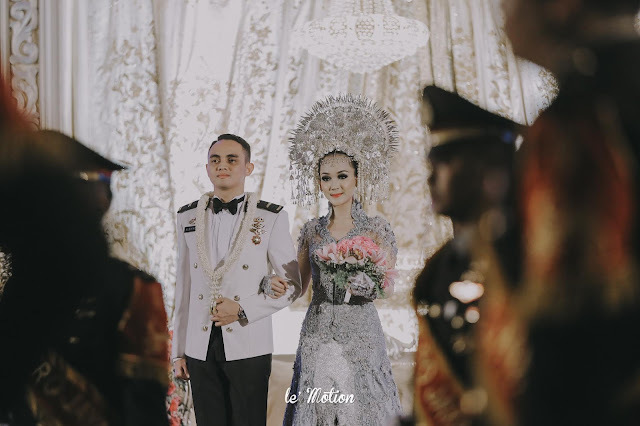 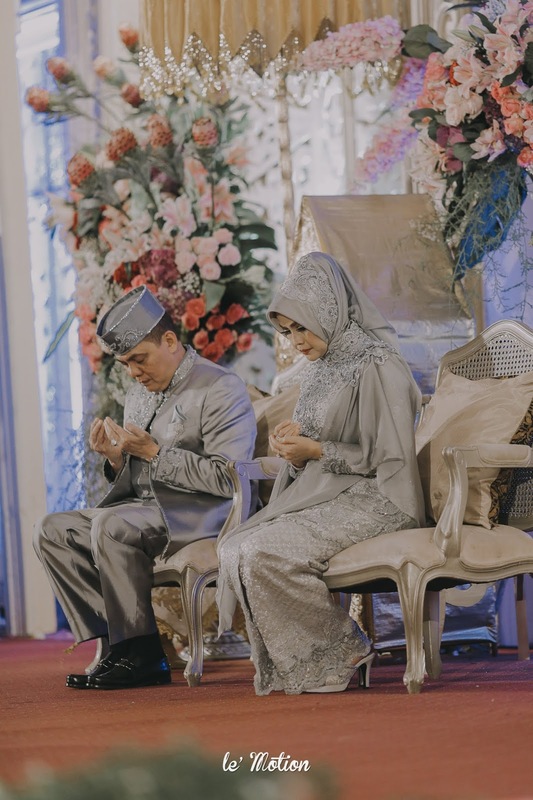 On the reception day, Aya looks stunning in a gorgeously beautiful silver kebaya and suntiang. 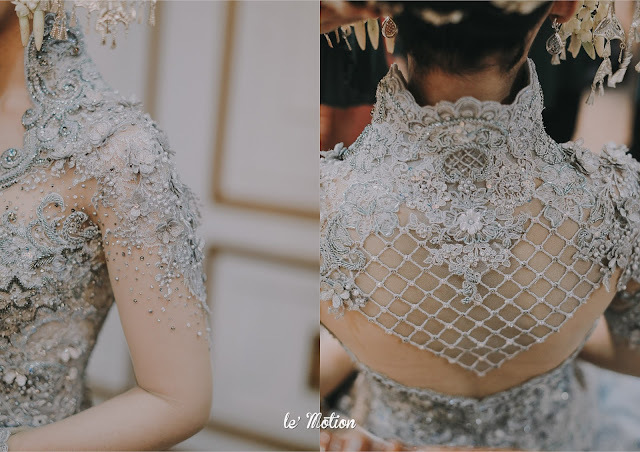 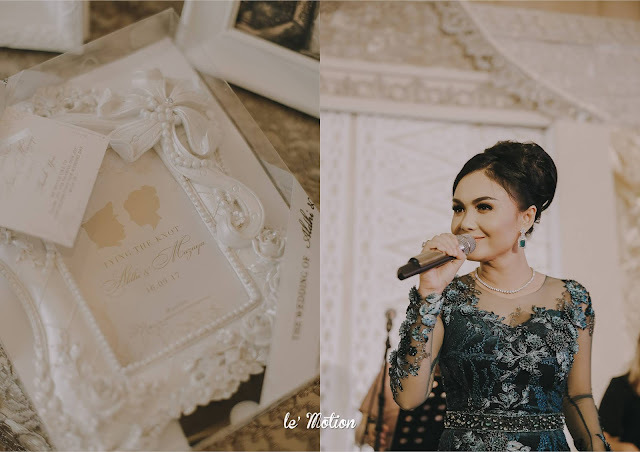 Intan Avantie's kebaya was decorated with small details of silver pearl. 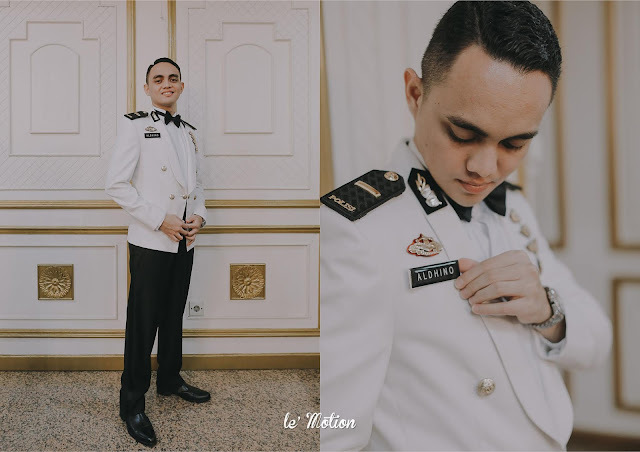 All makes the overall experience even more glamour and also Aldhi looks very handsome and charismatic with his police uniform. 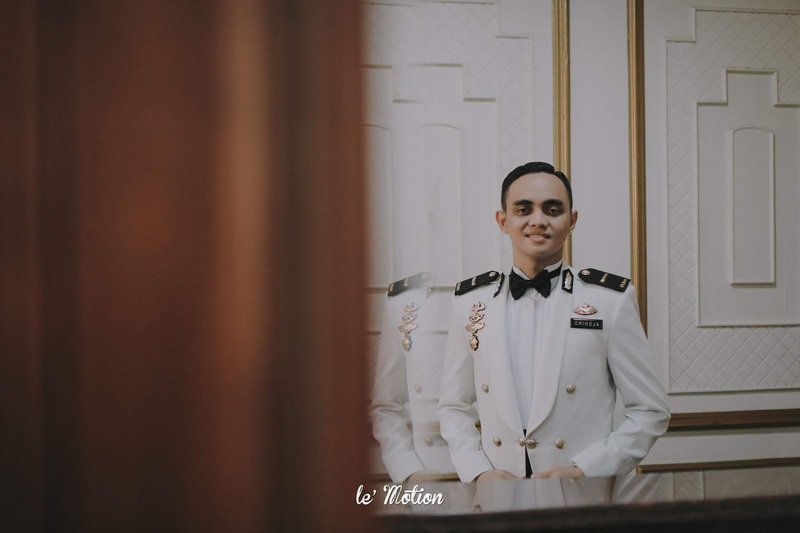 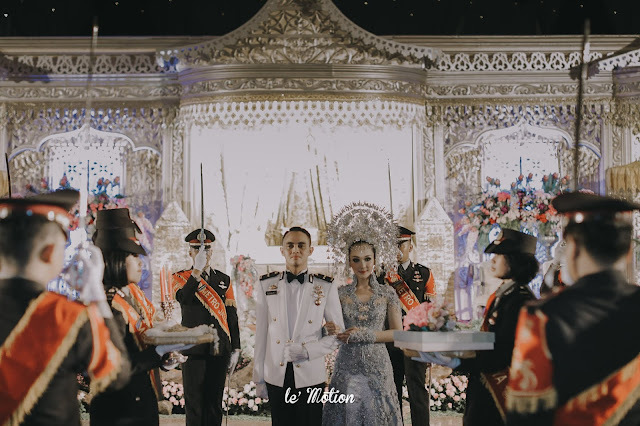 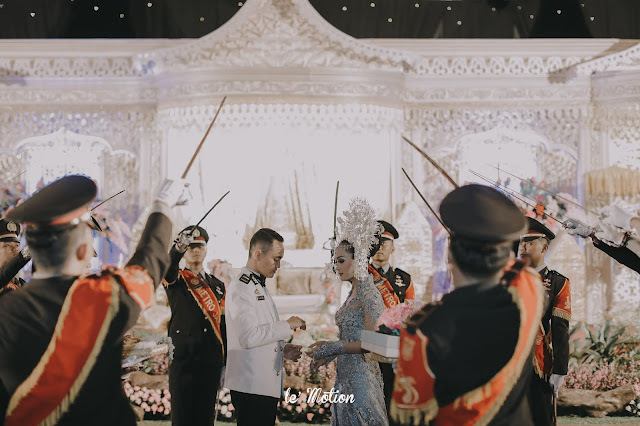 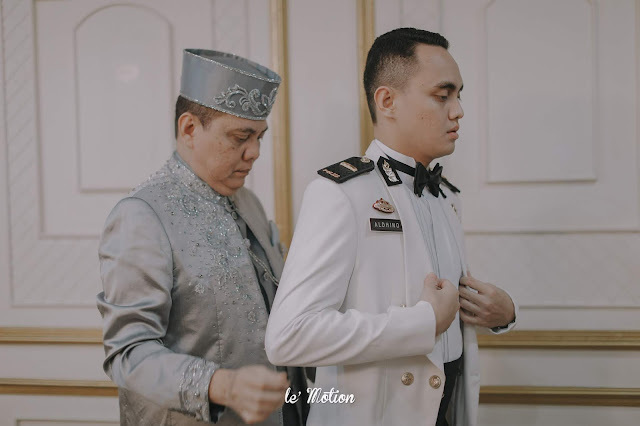 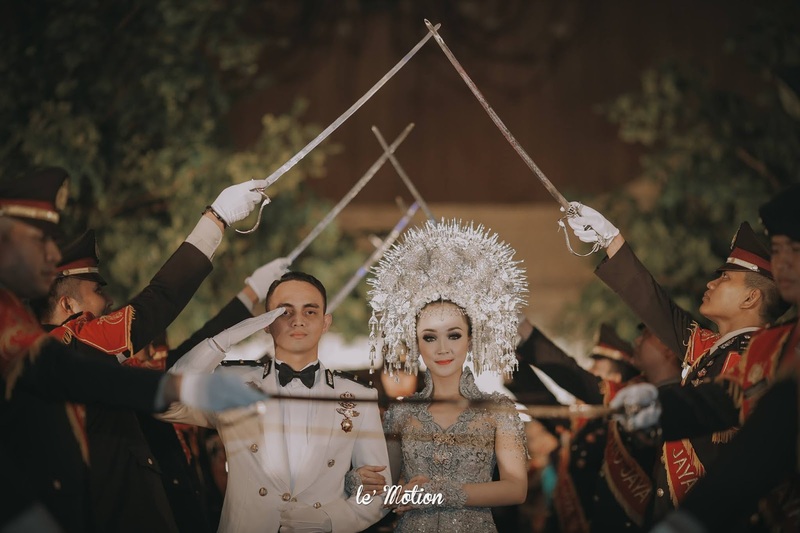 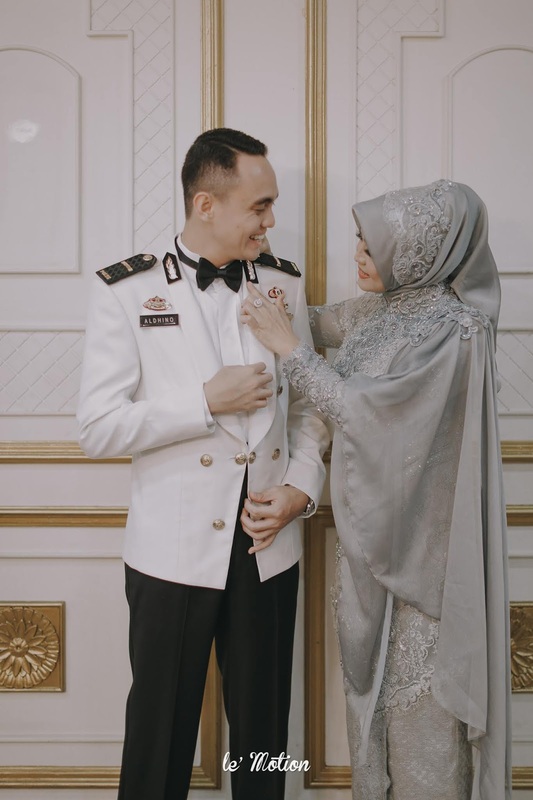 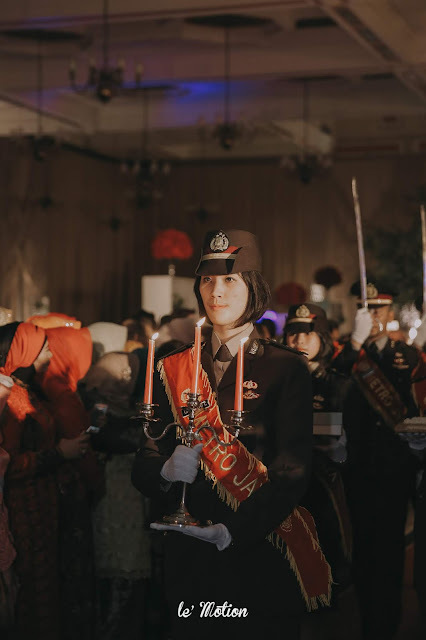 The reception starts with Pedang Pora ceremony which is a compulsory tradition that has been done in the military world from time to time. 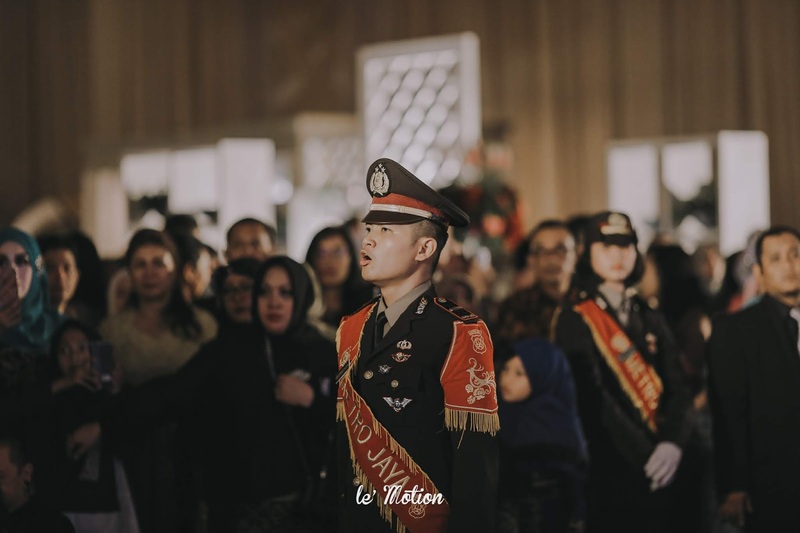 The tradition symbolizes solidarity, brotherhood, and to ask the protection from god for the armed forces. 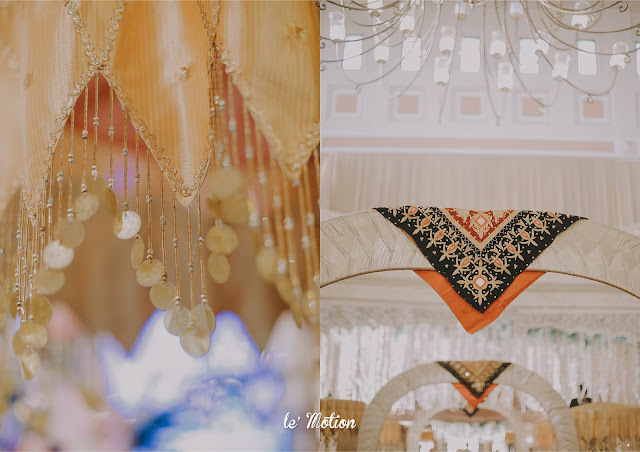 The swords was held up making the shape of a gate that the lovely bride and groom will enter and by that they are also entering the gate of a new marriage life. 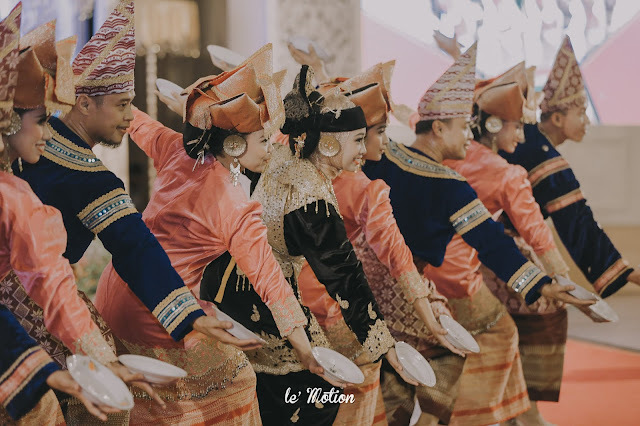 After the Pedang Pora ceremony was held, it continued by a signature Minang traditional dance called "Tari Pasambahan". This traditional dance is a welcoming dance to welcome and as respect all the guests. 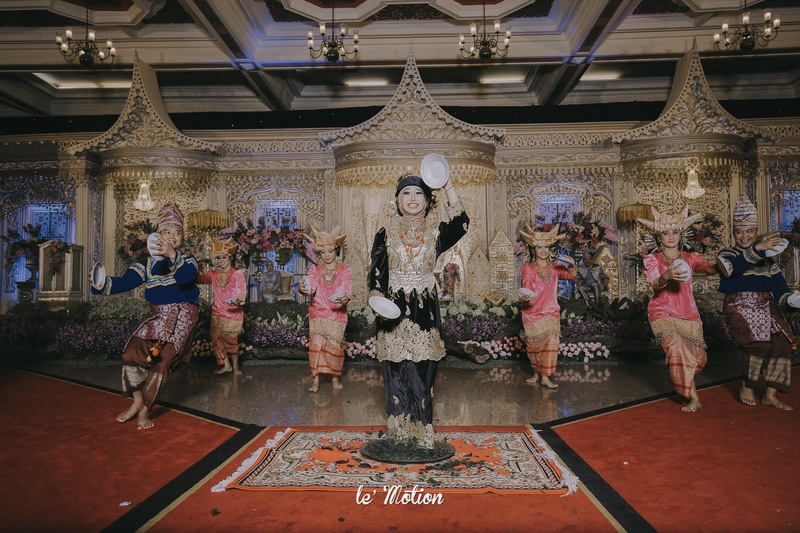 The atmosphere is more festive with the apperance of Tari Piring amid the event. 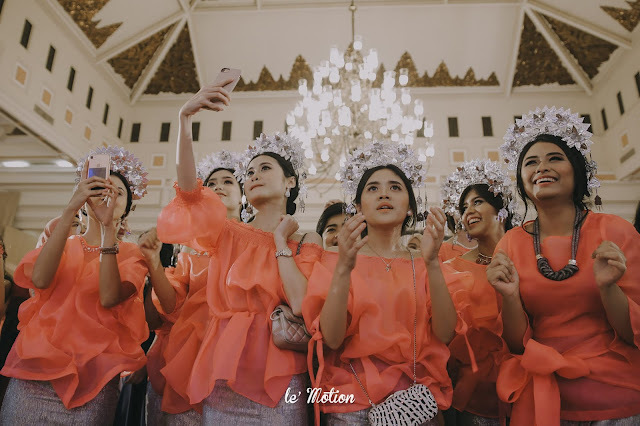 This dance uses plate as their main media. 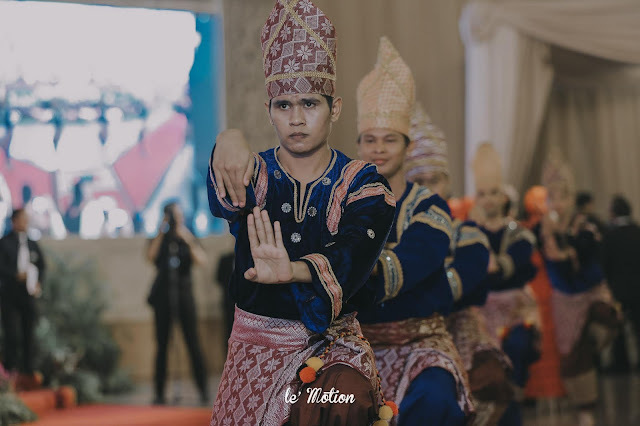 The plates were then began to be swung with fast in one rhythm movements with the plates being released from the hand. while standing on a tray covered in glass flakes. 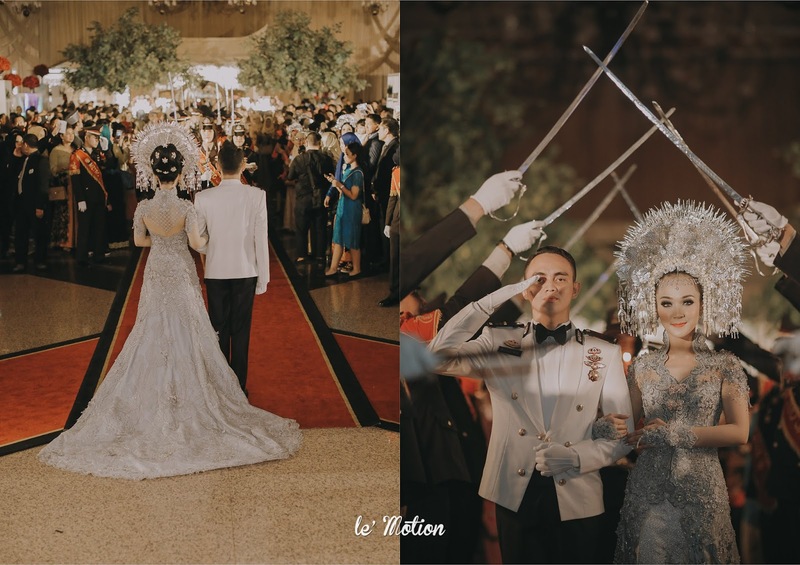 All the guests in the room were amazed and entertained. The entire wedding reception event of Aya & Aldhi went very smooth and lively. 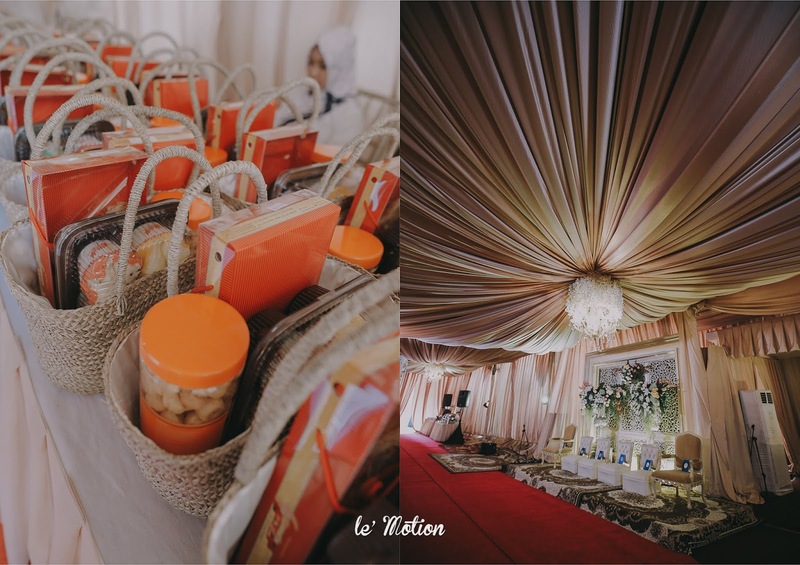 Both guests and the families felt very happy, even the bride and parents themselves were also extremely delighted! 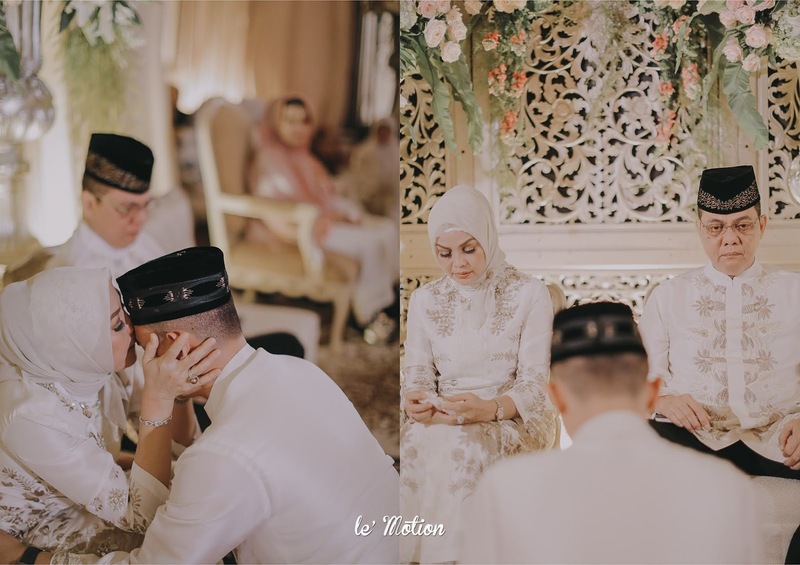 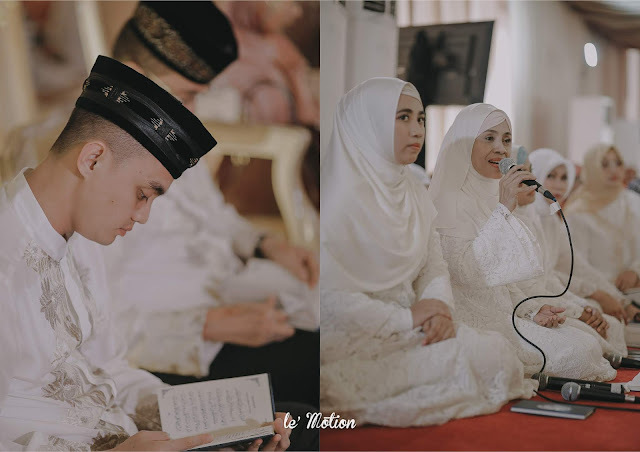 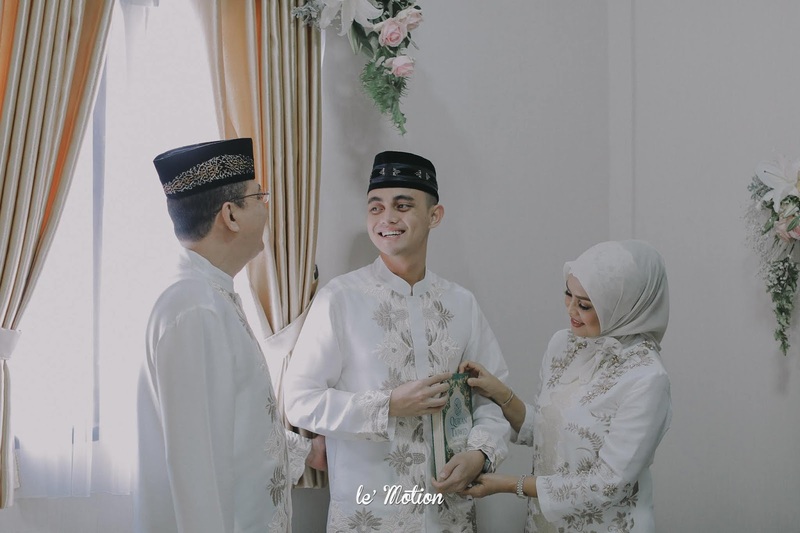 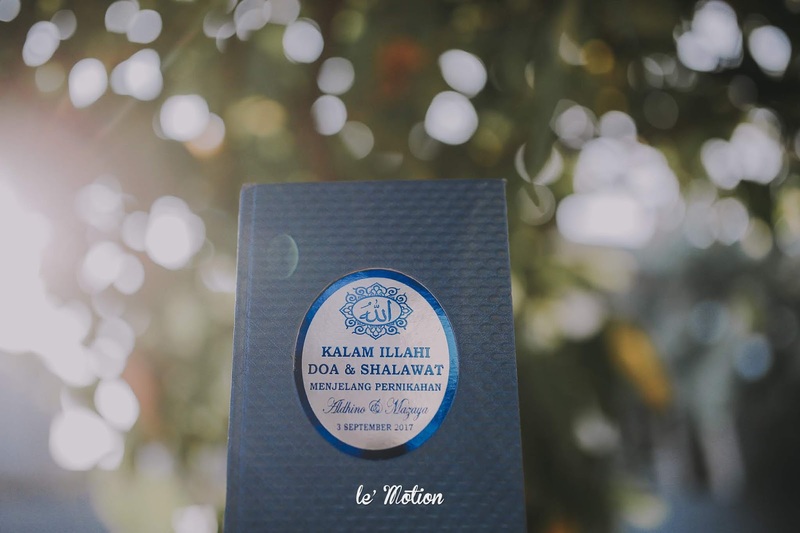 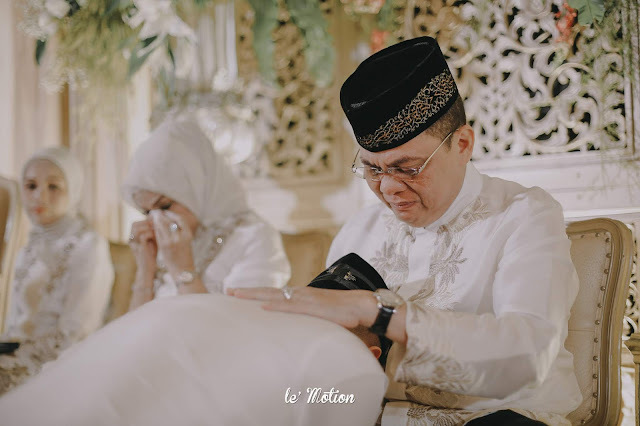 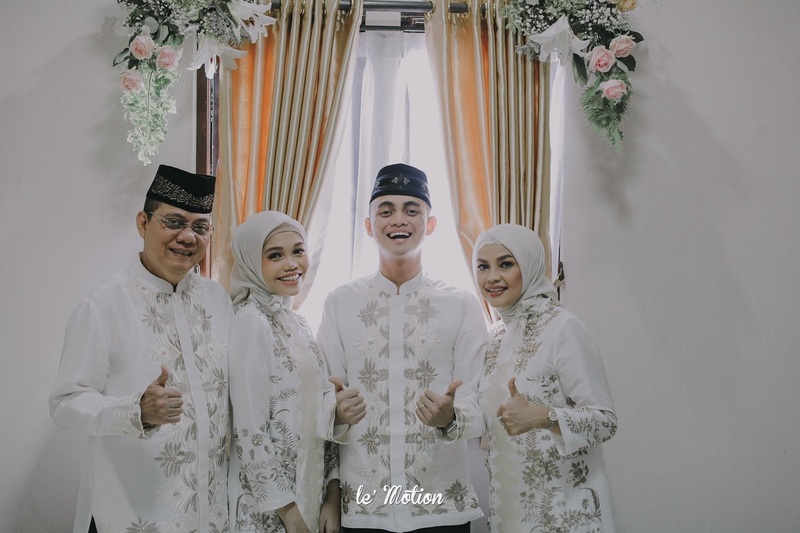 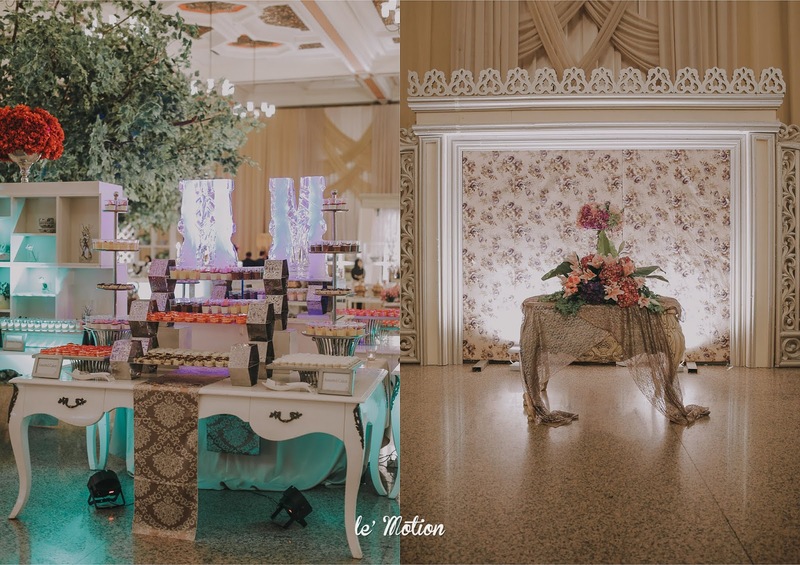 We, Le' Motion team once again congratulate Aya & Aldhi and also the whole family. 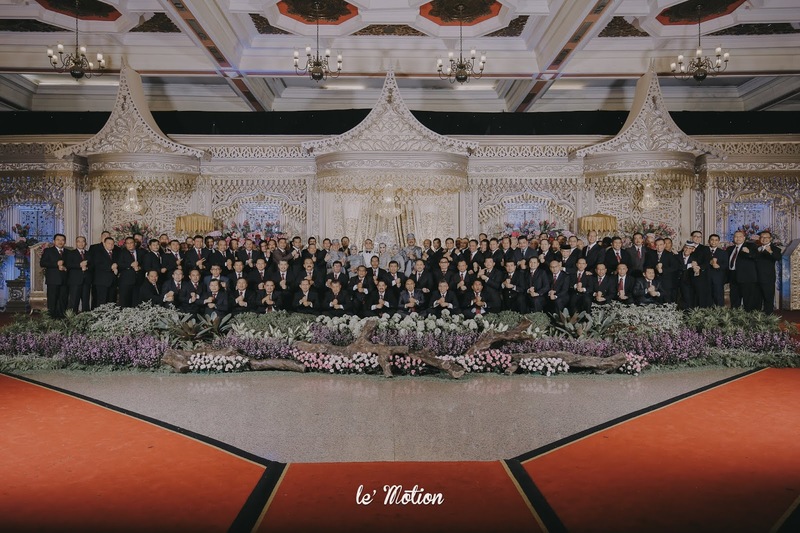 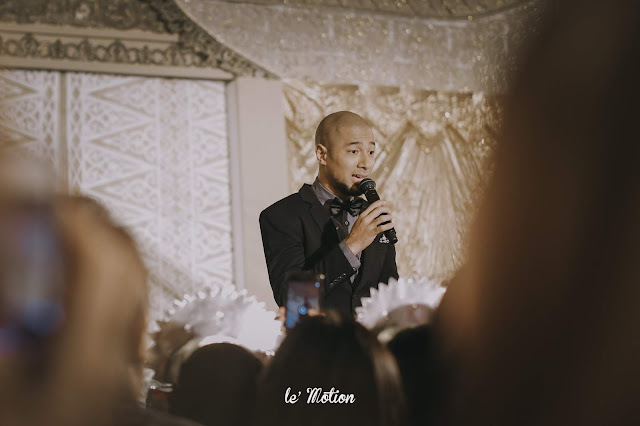 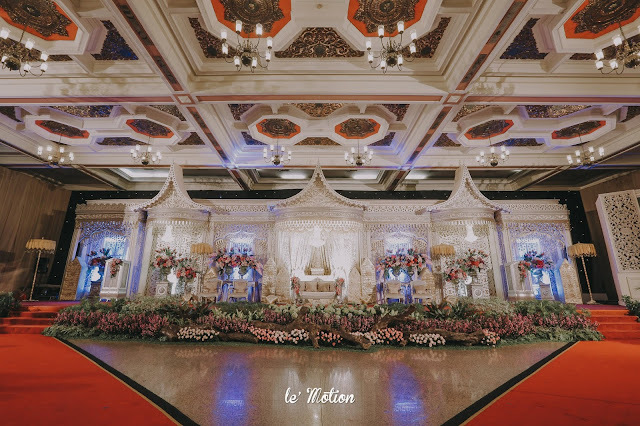 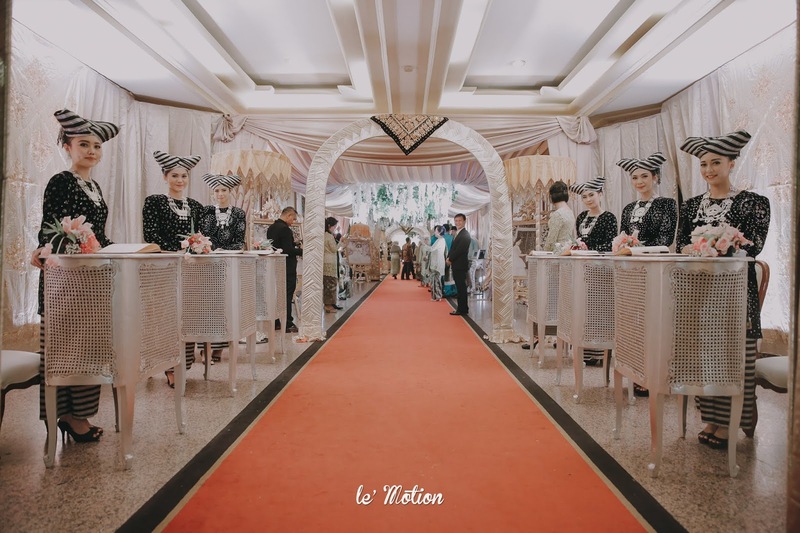 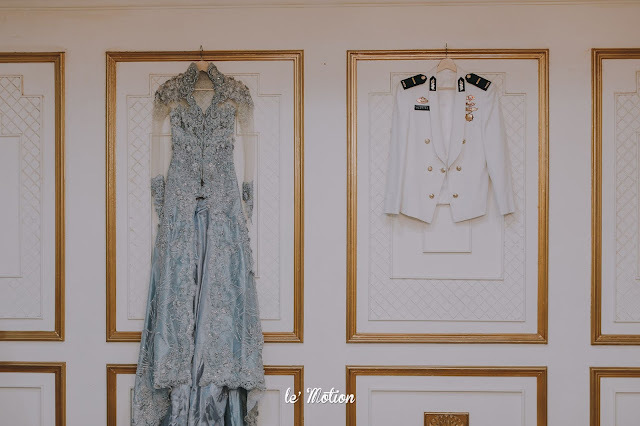 We are very thankful for the trust that had been given to Le' Motion as to be able to document this wedding.